I was burned up and burned out. I was bitter, angry and frustrated. I was so entrenched in my ongoing selfish desires to achieve more, become somebody and to succeed in a huge way that I was literally slamming the door on all that the Divine had in store for me. Have you ever been there? Exhausted, frustrated, bitter, angry or simply at the end of your rope? I don’t think it really matters what we call it, but it does matter how we choose to cope with it. I suppose that we could stay bitter or resentful. I guess we could simply wish we weren’t where and how we are. I imagine that we could leave unforgiven realities to continue attacking our wounded soul. I wondered if there was a better way? The answer was no, I could not sustain my bitter resentment. I could not just hang on and wish the sorrow and pain would leave. My soul was too weary to physically fight a little harder. I needed a better way. My prayers went from being just one of my many tasks that I would conquer, to opening a direct and dedicated line of communication with the God of all creation. My attitude went from poor, poor pitiful me, to an attitude of gratitude. My mostly fake “quiet time” went from duty to genuine, earnest dialogue with with the same God that breathed this book of love into existence. What is it that pushed me beyond myself and my personal limitations, to realizing that God allowed me to be a part of His redemptive plan for mankind? Well, it seems so simplistic, but I can tell you, with firsthand knowledge that this will cure your similar existence. That one thing? It was the convergence of my heart, head, hands and attitude all brought together in a daily routine of meditation! The simple, yet explosive power of sitting in the lap of the Divine as I opened my heart up in an attitude of gratitude, a hunger for God’s Truth and a deeply passionate prayer life, bundled into a daily routine of meditation. I can remember the first time that I actually leaned into being grateful – every single day – talking out loud with the Divine, and waiting to hear back from Him as if I truly believed that I was His kid. When I couldn’t wait to understand His Word and I could sustain all of that in a spiritual routine that even the busiest person on the plant could sustain. I call it MEDITATION. Naturally, may call it anything you wish! Meditation to me is like stopping and stepping away from the hectic pace of our ordinary life, walking into an old home and then into the den. It is like jumping up into a big leather chair that is God’s favorite chair. As He put’s His arms around me, I am free to tell Him a few things that I am grateful for, read a little of His Book, chat with Him and stop in silence to hear from Him. Maybe you have all of your junk together, but I didn’t and I don’t. I do, however have an expectation for God to blow my mind and simultaneously quiet my soul in a daily routine of meditation, as I hop up into His lap in His big leather chair. I know I’ve taken great liberty with how I see the Divine, in His big chair in front of a warm fire. I can’t help but feel His all powerful arms as He lifts me up and sets me in His chair for a time of meditation. I encourage you to find a better you and a better way as you enter into a new daily routine that includes gratitude, Scripture, prayer, quietude and solitude all wrapped up in a life-altering commitment to meditating on those things that matter most. 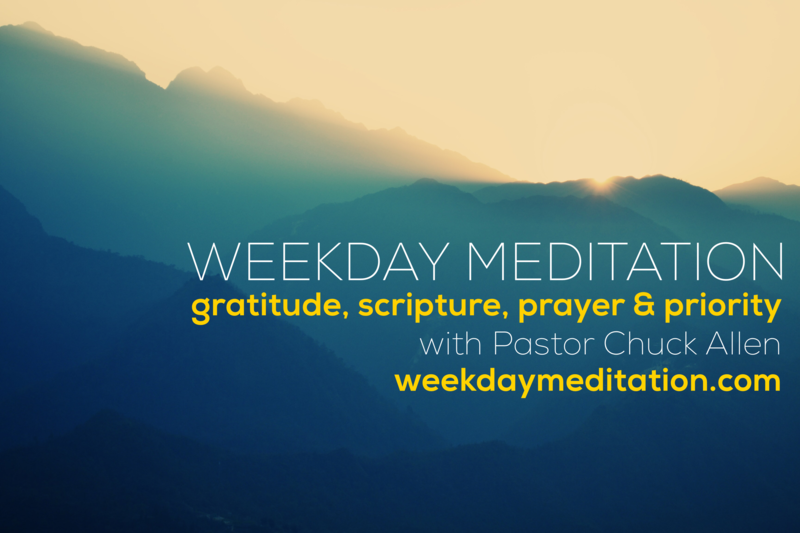 Join me, each weekday, through the holidays – STARTING TODAY – for a brand new guided meditation. In a simple 10 minutes each day, I am confident that God can and will do what is good for us and even better for His glory. I sure hope you’ll test drive these guided meditations as we seek to thrive in this most sacred holiday season.